Marin County in many ways symbolizes quiet California affluence. It’s a place where people reuse their grocery bags, drink expensive wine, and reliably vote Democratic. It’s no surprise that Marin County–which resides just across the Golden Gate Bridge from San Francisco–has become a popular spot for well-heeled suburbanites. The scenery, which is dominated by dramatic mountains that rise straight from the ocean and the bay, is breathtaking. Land is extremely limited and the weather is some of the best in the world. On a more retail related note, it’s also the home of Restoration Hardware. Marin County has two major outdoor malls in Corte Madera that target the affluent crowd that resides in the towns just north of the Golden Gate Bridge, but San Rafael–the county’s principal city–is actually a bit more mid-market than southern cousins like Sausalito, Mill Valley, and Tiburon. 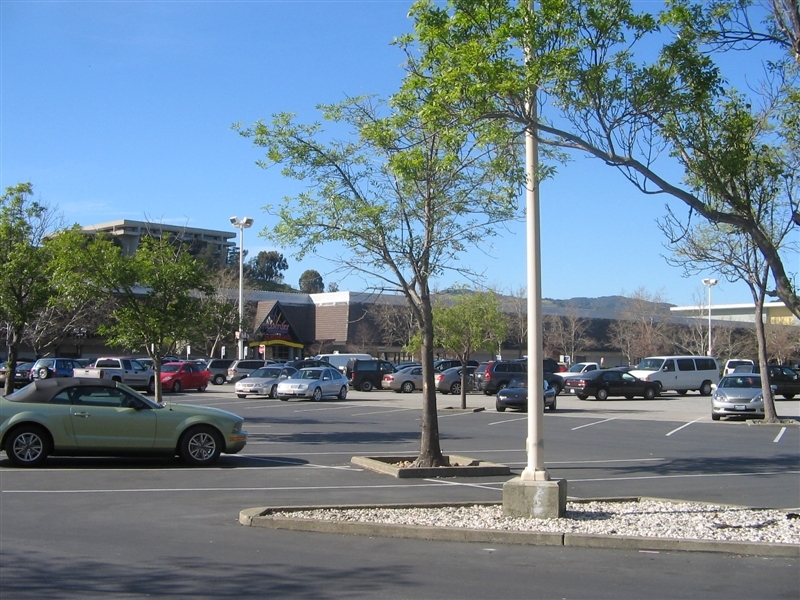 Besides being the home of George Lucas (and the Skywalker Ranch), San Quentin State Prison (and thus, Scott Peterson and various other famous criminals), and–formerly–Carmen Sandiego (Broderbund Software was here), San Rafael is also the home to the county’s lone fully enclosed shopping center, the Northgate Mall. The Northgate Mall is not exactly what you would expect of a mall in Marin County. 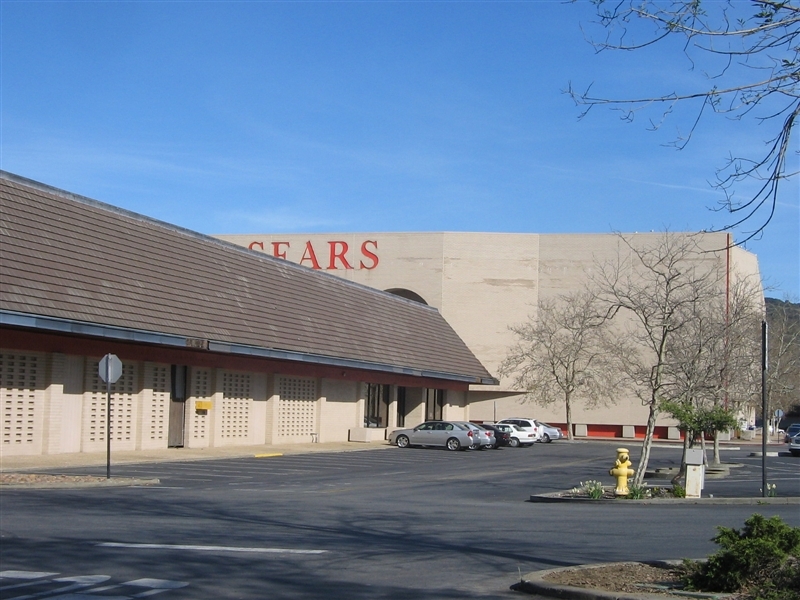 Unlike its more southern competition, the 744,000 square foot mall skews to the middle-tier, with Macy’s, Sears, and Mervyn’s as anchors, and it clearly had been years–MANY years, 21 to be exact–since the 1965-vint age mall saw a significant renovation. The place was frozen in amber, stuck in the time when local Marin County boy Huey Lewis was still placing yuppie anthems about cohabitation the top of the charts (though we’ll ignore “Pineapple Express”). This relative degree of neglect is pretty unusual by California standards, so I thought that Northgate was really quite a find. Unfortunately, that’s changing now, as the mall is getting an upscale new refresh meant to bring it into the 20th century, and better target the fairly affluent consumer base in the area. 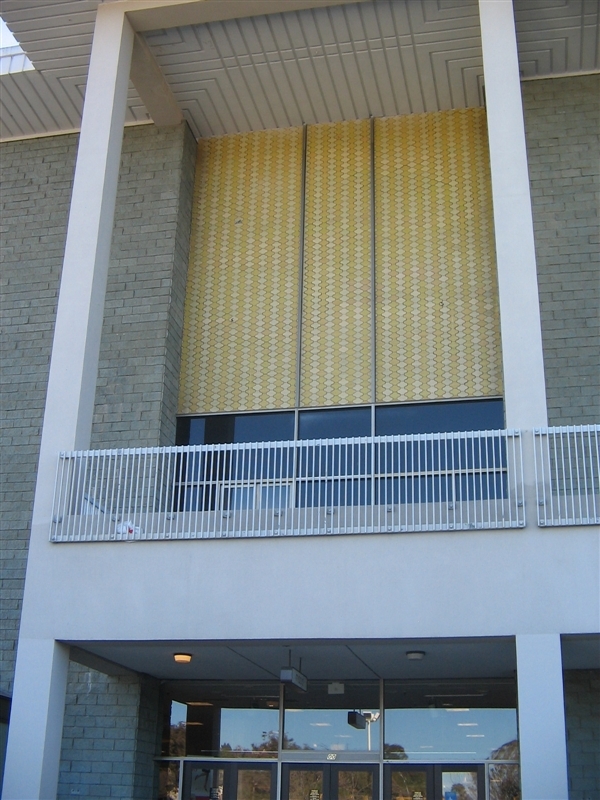 Thankfully, my photos were all taken in March of 2008–before the renovation began. Granted, the Northgate Mall clearly needed a refresh. While I found the parquet floors and yellow-tiled Macy’s to be charming, the Freitas Parkway facility does feel and look a bit tired, and has a fairly run of the mill group of stores (plus a fair number of vacancies). I kind of hope they keep the puzzling little balcony above the stores in front of Macy’s, but I have no idea why they would. Enjoy the *old* Northgate Mall! As I understand, the renovations are now already well underway, and it no longer looks quite like this. I’m glad I caught it just in time! Also, do check out our friends at Big Mall Rat, who did a feature on this (and every other) Bay Area mall as well. OH, AND… some of you may have noticed that Labelscar was down for a ghastly 24 hours the other day. We’re really sorry about this. Our hosting company had an “emergency” of some sort that wiped everything out for a day, and it took some time to get back online. We didn’t go anywhere, though, and it frustrated us as much as it did you. Either way, we’re back, thanks for waiting, yada yada. I think you ment 21st century not 20th century. Any how, what’s going on with Mervyn’s, are they keeping that location? @SEAN, they are changing the mervyn’s to a kohl’s. Right now they have removed all mervyn’s signage and they have gutted the inside completely for renovation and construction. I imagine they will renovate the exterior of the building, or at least paint it. @Ryan, So far…the fantastic burnt orange tile sign is still there…the base of the building is also clad in it, about 18 inches up. I can’t imagine it will survive, but maybe, I don’t think the massive re-invention is going to tackle that corner…the Sears at the end of least trafficed “arm” of the mall…in the 1990s all the stores that lead you toward Sear’s were relocated so that section could be come movie theaters. I love the SEARS sign too. Is it cut into the surrounding stone/concrete (rather than stuck on the side of the building)? And I suppose nobody uses the rather interesting balconies anymore…seems like a good place for a sidewalk sale! I’ve never seen so much parquet flooring in my life. I’m amazed it’s lasted this long. Yes, the Sears sign is molded into the building. Occasionally you’ll see employees smoking on the balcony…but I’m sure they’re not supposed to be doing it. The Macy’s was originally at two-story Emporium store…a third floor was added sometime in the 1980s (or…maybe very late 1970s). The flooring was looking pretty sorry when the massive re-invention started…there were spots that had been filled in with plywood, stained to look the same. This mall looks so old, I almost pee’d myself laughing. Although old-fashion interior is charming, a nice renovation after several years is MUCH needed. Good news to hear. Er, yeah, twenty-FIRST century. It’s not like the old mall is powered on steam or anything! Oh. That’s what it looks like inside. Two things, though. 1) Scott of BigMallRat.com mentioned about the food court here: “It’s the only mall where I could sit at the food court an observe, all within 10 minutes: a pimp counting his hundreds, whores ordering Thai, a mentally challenged person running into a garbage can, and a drunk stumbling around. Hey, whatever floats your boat.” While it’s funny to think about that, I believe that was mostly joking, because, first of all, he doesn’t know all those people doing those things were actually pimps/whores/retards/drunks, and so forth and so on. 2) The Mervyn’s facade is apparently staying through the renovation, so the old Sears lettering might stay too. 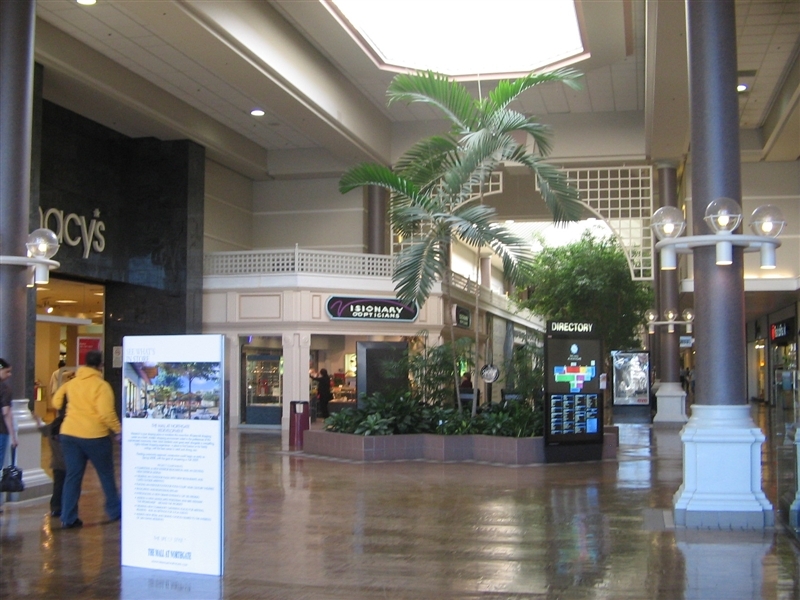 Was this mall an outdoor mall at one point? It looks like it to me. The Sears sign above the mall corridor (outside) looks out of place, the anchors are a classic old mall setup for an outdoor mall, and the exterior appears to be setup for stores fronting it. @Brandon, yes, the mall was an outdoor mall in the beginning. And is, pretty much, becoming outdoor again! Too bad they can’t bring back the cool, 1960s fountains back…I might go search flikr for images…they were pretty groovy…and at the holidays they had their own custom decorations that looked like giant snow flakes. Did anyone notice th balcony above the Macy’s exterior? I wonder what it was used for before the entrance from the second level was blocked off. Did anyone notice the balcony above the Macy’s exterior? I wonder what it was used for before the entrance from the second level was blocked off. Northgate originally opened in 1964, with the San Francisco-based Emporium (aka ‘the Big E’) as its sole anchor. (This was before The Broadway bought the Emporium in 1970, but, yes it does sort of have that ‘Broadway-look’ to it). The Emporium was billed as ‘the largest store between San Francisco and Portland, OR. It was a lovely outdoor mall, which made perfect sense given Marin’s year-round temperate climate. In the mid 60’s, a smallish branch of another San Francisco department store, The City of Paris, opened. Sears came later, somewhere in the 1970’s IIRC. Up until The Village at Corte Madera opened around 1985 (Nordstrom, Macy’s), there was no competition for Northgate other than the tired Corte Madera Center (Penney’s, Ward’s) and downtown San Rafael (Macy’s, Penney’s). But the new Village and a remodeled Corte Madera Center (rechristened ‘Corte Madera Town Center’) scared Northgate into remodeling and enclosing the mall, and adding a Mervyn’s as well. Somewhere in the late 70’s- early 80’s, The Emporium added a third floor, and remodeled the store into, IMHO, was their nicest suburban store. It really was a beautiful store, featuring a real, tablecloth, sit-down restaurant, Rafaello’s. 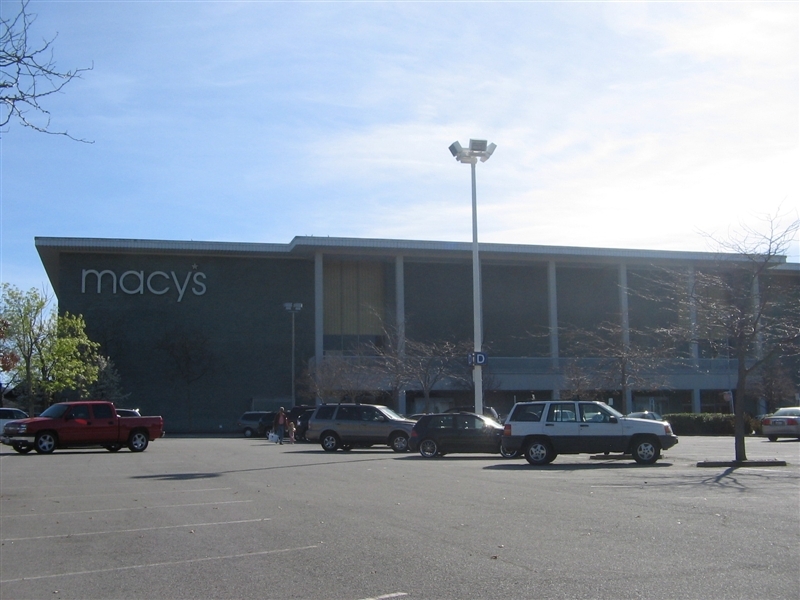 When the Emporium’s parent company, Broadway stores, failed in 1995, Federated bought the chain and turned the Northgate store into Macy’s, shuttering their aged (c1952) downtown San Rafael store. Just a bit of trivia: for roughly the first 15 years of its existence, Northgate stores were only open 2 nights a week: Wednesday and Friday, until 9:30. Other days, the mall closed at 5:30. Even the Emporium, which added Thursday nights to its schedule around 1975, didn’t go to 5 night openings until the 80’s. Ah, the good old days. BTW: Does anyone else remember the wonderful Zanze’s cafe and their delicious cheesecake? @Paul, i never knew there was a macys in downtown san rafael. what occupies the area now? also, what are some other stores that used to be in downtown? The downtown SR Macy’s is now condos or apartments…it was on 4th Street (of course! )…don’t remember the cross street. If you look around you should be able to figure it out…the exterior was not dramatically changed, I don’t think. Okay where’s the Starbucks in this mall lol? It can’t be a complete mall in California WITHOUT a Starbucks :-). What a treasure that has been found in this mall. I love all this old vintage mall architecture. Those old vintage Sears letters on the Sears anchor. I have not seen those in years. Almost all the Sears have changed their exterior sign to the design on the interior of the mall. I have never seen an anchor with 2 signs on the interior mall entrance like this Sears has. I know that to compete malls HAVE to renovate and modernize their look to be competitive for the average shopper who is not a mallophile like all or us on this board. And of course this mall does look old and outdated. But all the old colors and designs is what makes malls of the past so much nicer than the whitewash that is most malls today. I really like the shiny brownish floors, the maroon carpet with the big circle marble piece in the middle of it by the Sears anchor entrance. The little balconies above the Macy’s entrance are very unique too. Also the glass entrance with all the lattice work is really nice too. I hate to see all this going away with the renovations, but I know it has to. The Macy’s was definitely an Emporium. As I recall growing up in California, all of the Weinstocks/Emporiums had cafes and the balconies led to a dining area outside. The Macy’s at the Stoneridge mall in Pleasanton, CA has a similar balcony outside, and yes, that used to be home to the Emporium Cafe. On a different note, I was at the Southland Mall in Hayward today. You talk about FROZEN IN TIME!!! I wish you would profile that one. It has the creepy sub-terranian level and diamond-shaped windows at the top of the walls. So this mall is an enclosed/strip mall hybrid love it. I’ll never understand 80s architecture. We’ve got these strange, ugly, mid-80s beige parquet things like this (and Cinderella City, to an extent), the ones that have white/pink tones that could probably survive in the bland world of mall architecture today (all they need is a new coat of paint), the ones that are with neon and dark colors (can’t give an example off the top of my head, but it sounds awesome), and the ones with teal and gray…a very soothing combination (Northwest Plaza and Cherry Hill Mall) in my opinion. 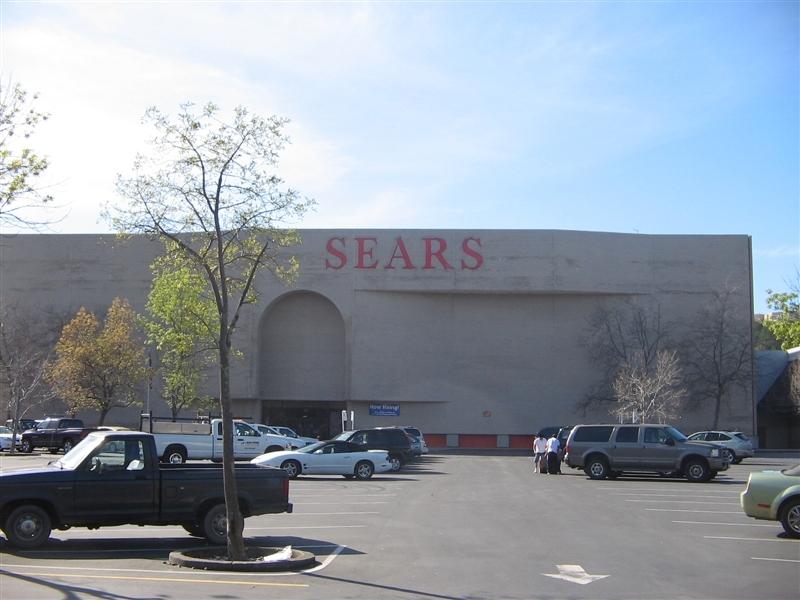 To offer some trivia- Sears at Northgate was completed around 1971 or 72. The mall was not a strip center but a small suburban style outdoor plaza. There used to be a small pond in the middle with water effects. The Emporium actually added the third floor in 1978. My first job was at this store and the store celebrated the opening of the new addition after hours one night by letting the employees party in the new furniture department on the third floor. A lot of fun when your 16 and no one was watching what you were drinking. Running up and down the escaltors in opposite directions. You wouldnt see an employer allowing that now-a-days. I’ve trying to find out more about what is happening with Northgate. I did come across this link http://cli.gs/uhY8Jh and it looks like they made a few announcements. Does anyone know if anything else is planned for the mall? I just visited this mall the other day. It is about 40% done. Only about 8 stores remain at this point. Earlier this year, Macerich had posted a blueprint of the new stores and where they would be located within the new mall. They quickly took it down, but not before I caught a glimpse of it one night. 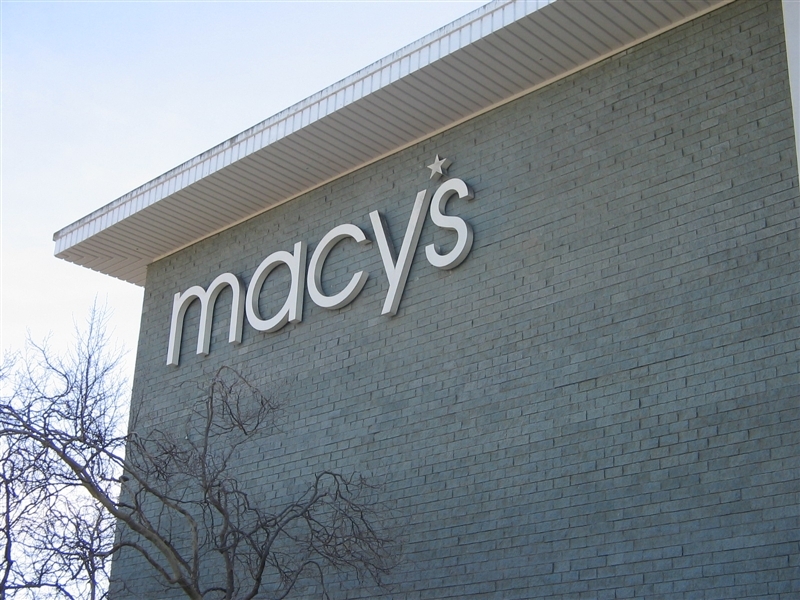 The new stores arriving include H & M and Forever 21 (to be located near Macy’s). The food court has only signed on 3 tenants (out of 6 slots) which will be located next to the movie theater. These will be Subway, Sbarro and Combo King. Returning stores include Pac Sun, Gymboree and Sees. BJ’s Brewery and Roadside BBQ will be restaurants occupying the side of the mall that has yet to begin renovation…and Mervyn’s will be replaced with Kohls. Beyond that, a Peets Coffee and Tea is slated to move in next to BJ’s over where Blockbuster Video used to be. I wonder if they will reface the Macy’s and Sears buildings? They are soooooo old looking!!! @Christian, I heard from someone who has a leasing plan copy that they will open also an american eagle, blue seal, and charlotte russe. do you remember any other stores from the blueprint? Northgate now has a Facebook page (click my name for the link), with photo history of the demolition and new construction. Who can I talk to about available retail space to lease? 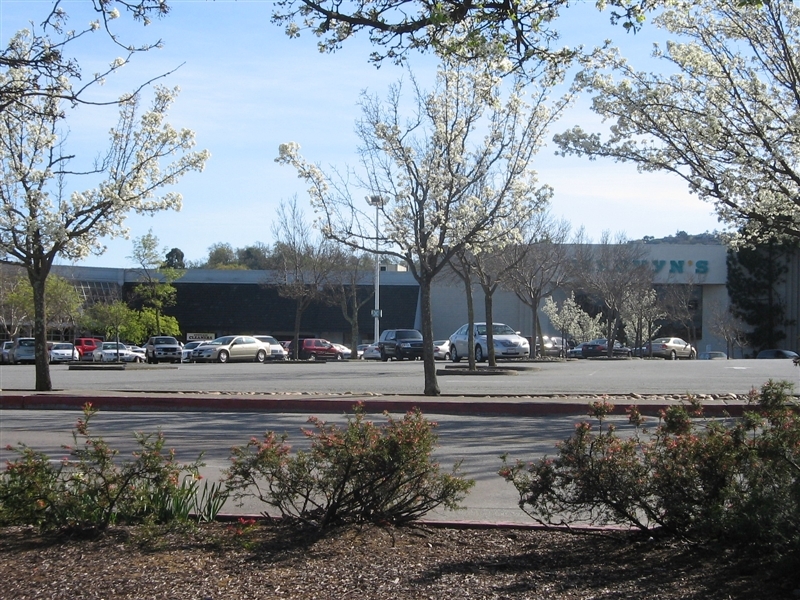 The firm Welton Becket & Associates had a hand in the Bay Area’s very first mall – Stonestown – and pretty much every Emporium and Bullock’s in the state of California. 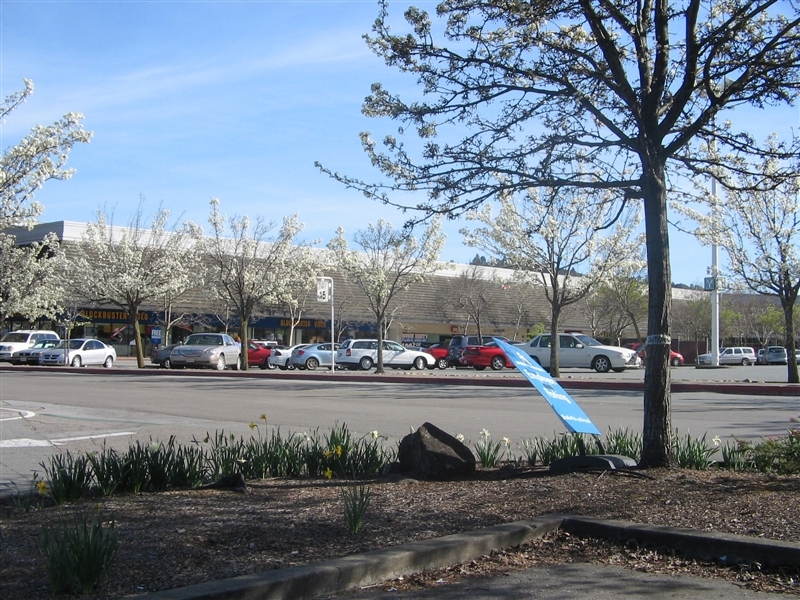 Other Bay Area malls designed by the firm include: Stevens Creek Plaza in Santa Clara (absorbed into Valley Fair in the 1980s), Serramonte in Daly City, and Almaden Plaza in San Jose. So They have just built in a forever 21 and it’s TWO FLOORS! It has greeat prices and i love the style. AND they built in a new hot topic. My Favorite mall to go to is Northgate because It really great prices and sales, and asome stores.